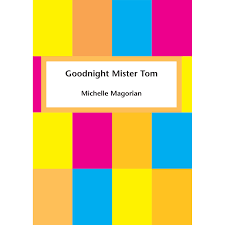 There is a lovely abridged version of Goodnight Mister Tom read by Patrick Malahide (Penguin Books Limited) but recently I met some blind people and their sighted friends who told me how much they loved the full version, read by actor Christopher Saul (a member of the Royal Shakespeare Company). “For those people who are blind, this is available to borrow free of charge from our library to individuals who are unable to read standard print. This can include sight impairment and dyslexia. Their library team will then be able to give advice. The book is also available to buy through them as a DAISY Made to Order CD for £9.99. Click here to buy a copy. Anyone is able to buy the book for themselves, regardless of sight.